Q: I don’t know which way to turn. I am so afraid of going wrong. What now? A: Look to your values. They will lead you in the right direction. 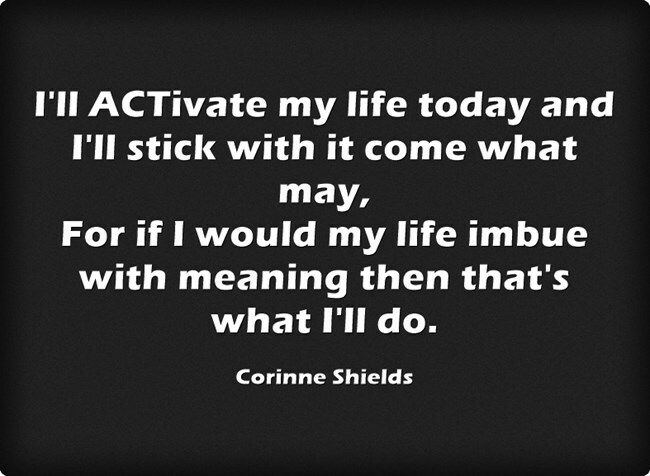 ACT loves us to take action, considered action, value-driven action that moves us in a meaningful direction. If we are not sure what to do then a quick check-in with our values will usually point us in the right direction. Another way to look at it is that if we take actions based on our values then we are acting with integrity and that will feel good. 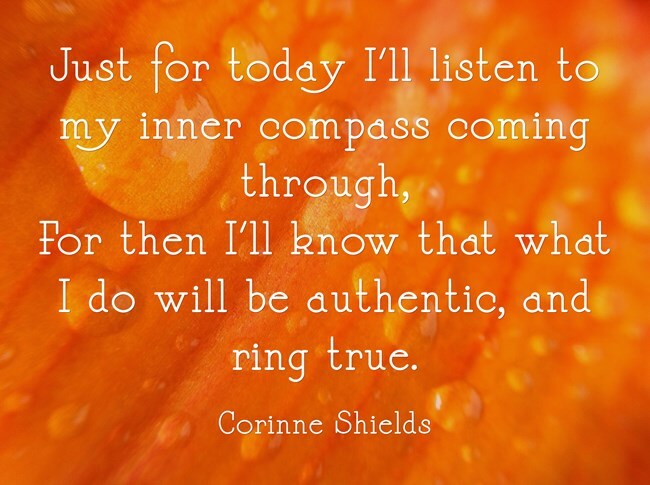 Integrity is a very reliable inner compass. It soon tells us if we are off track. If something doesn’t feel right, if we don’t feel right, that’s a sure sign that we are not acting with integrity. What’s also interesting is that when it comes to value driven action we need not concern ourselves over much with worrying about whether an action is right or wrong. As long as it is moving us in the direction of our values then it can’t be wrong. 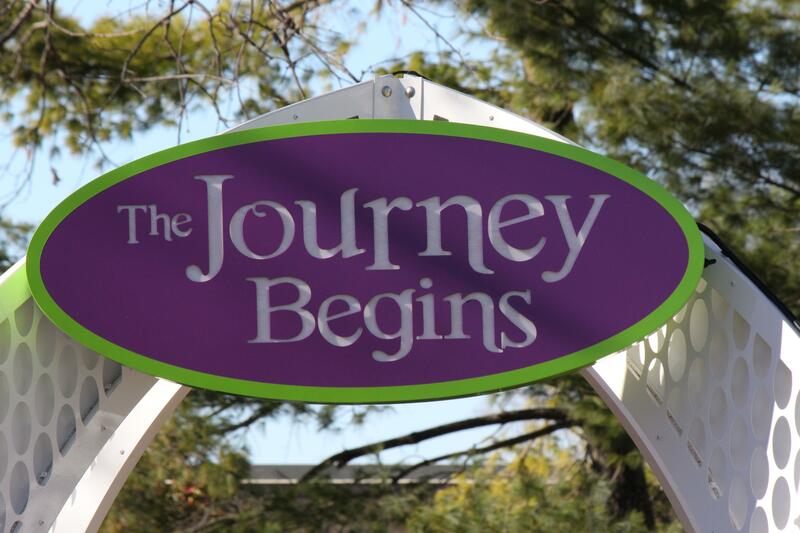 What’s more any step in the right direction, no matter how small, will be just that, a step in the right direction. How reassuring is that? I wrote the poem “STEPPING IT OUT” to remind me that as long as my values lead my actions I will not go far wrong. Do you remember to look to your values before you take action? How do you cope with misgivings? For everything’s of value if it helps us move along. For we didn’t think we’d make it but we stepped it out somehow. 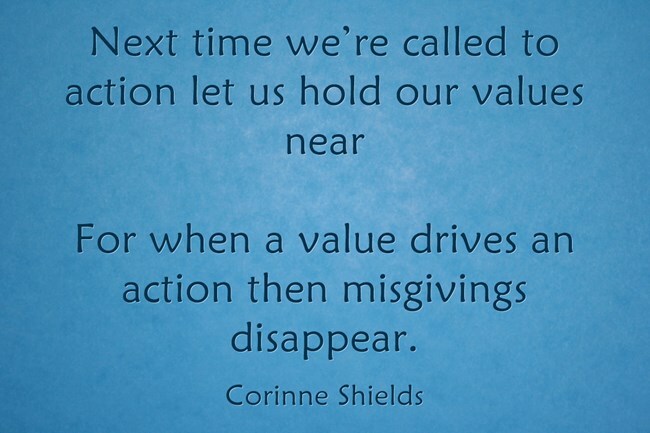 For when a value drives an action then misgivings disappear. If you enjoyed, “STEPPING IT OUT” please pass it on, and do leave your comments. I would love to hear from you. It seems that ACT is popping up everywhere these days. I am not particularly sporty, although I do love my golf, and I was interested to read that Psychologists have recently begun applying the principles of ACT in a variety of sports, believing that if athletes can switch their attention to the relevant athletic task versus internal states such as anxiety or frustration, they will be able to perform more successfully. I am sure it would be equally effective on the putting green. I shall try it next time I am on the course and let you know if I am able to shave some shots off my handicap. It’s so hard isn’t it when values are so different. I guess where there is room for compromise without compromising your values then there is room for manoeuvre. When I was in that sort of situation, and I was, I always leant on the Serenity Prayer. Accept what you cannot change, change what you can and pray for the wisdom to know the difference. And minding my own business! That was another thing I learned. Our values are our values, they are our business. Someone else’s values are not our business much though we might like them to be. I am thinking of you.